NATO trolls Russia … with history! While the American president’s¹ ceaseless fawning over Vladimir Putin leaves many NATO members wondering just how committed to the defense of the West we really are, the alliance is finding its own clever way to troll the Russian bear. Monday NATO released a slickly produced eight-minute historical docudrama called Forest Brothers: Fight for the Baltics, telling the story of the anti-Soviet partisans² who fought a guerrilla war against the Russian occupation of Estonia, Latvia, and Lithuania in the years after World War II. 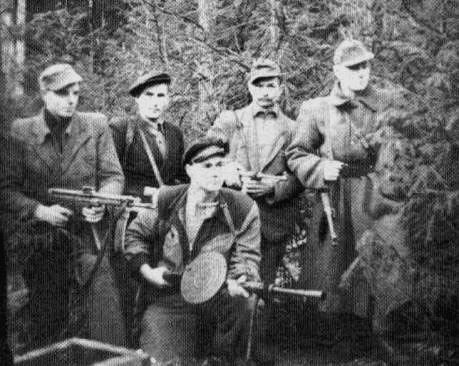 After the Second World War, soldiers from across the Baltics who had fought on both sides of the war disappeared into the forests to wage Europe’s bloodiest guerrilla war against the occupying Soviet forces. This short docu drama includes interviews with former partisan fighters and those who supported them and dramatic battle scene recreations and interviews with modern-day Special Forces of Lithuania, the direct descendants of the Forest Brothers. Looks like NATO hit a soft spot. That’s quality trolling. ¹I just need to take a break from saying or writing his name. I think you understand. ² It’s summer and we’ve all got better things to do than engage in deep historical research, so for a quick and dirty way to learn a little more about guerrilla war in the Baltics after the war, check out the Wiki entry.